The term Neuropathy is short for 'peripheral neuropathy'. It relates to nerve damage suffered by the peripheral nervous system, which is in charge of our nerves outside the brain and spinal cord. Neuropathy is a complication that can be caused by a number of various conditions. Physical trauma, repetitive injury, infections, metabolic problems and exposure to toxins and some drugs can all lead to peripheral neuropathy. Neuropathy usually starts as a tingling or burning sensation at our extremities, such as finger and toes. There is also a loss of sensation at the edge of the nerves that patients have reported feeling like they are wearing a thin stocking or glove on their hands. The precise symptoms differ from patient to patient based on the types of nerves affected. There are three types of nerves that may be affected by neuropathy: Sensory, motor and autonomic. - Spreading numbness and tingling in hands and/or feet (which can spread to the arms and legs). Motor nerves are the nerves responsible for activating our muscles and control movements. Autonomic nerves are responsible for internal actions of the body, such as regulating digestion, heat and blood pressure. - Dizziness (or lightheadedness) brought about by problems with blood pressure. For diabetics, neuropathy can be quite common. That said, about 50% of diabetics who have neuropathy won't notice the symptoms, and it will stay on a very low level. For the other 50%, however, the symptoms will be unavoidable. Pain is the most common complaint, usually a 'prickling', 'stabbing' or 'burning' pain, that happens mostly at night. This, along with a numbness that feels as if the limb is 'asleep' - occurs predominantly in the toes, feet and legs. What do doctors prescribe for this condition? Most doctors will stick to the old medical regime of anti-depressants, anti-convulsants, steroid and cortisone injections, lidocaine patches and pain killers. These are powerful drugs that address the painful sensations for short and long term relief. However, as powerful drugs, they have a host of side-effects and must be administered very carefully. Some medical practitioners recommend electrical stimulation of the pain area and of the spine. The medical community is united in agreement that more solutions to this problem are required, but progress has been very slow from the medical and drug industry so far. Other recommended habits for those suffering from neuropathy include: Wearing clothing that causes less irritation, such as cotton, covering the sensitive areas with wound dressing or cling film and using cold packs. Stress relief is also a big help when it comes to neuropathy, and so relaxation techniques are a big help, such as yoga, meditation and acupuncture. 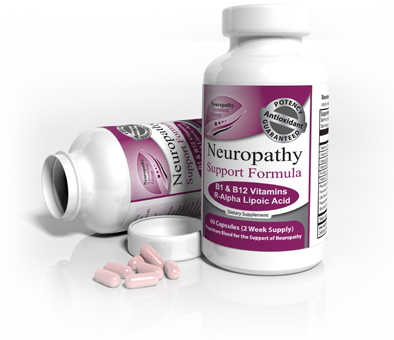 Clinical studies have shown that certain supplements can have a cumulative effect on the symptoms and causes of neuropathy. These herbal extracts can be taken without worry that they may clash with a parallel medical treatment. Certain herbal extracts and formulas offer a level of relief that has rarely been reached by just using medical procedures. This must be taken daily to achieve the desired relief. 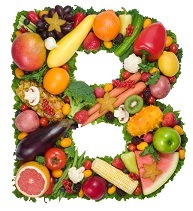 Vitamin B deficiency is one of the major causes of neuropathy, and also one of the best natural solutions. All herbal extracts contain large amounts of vitamin B1, usually in its common form of thiamine. Recent natural medications have reverted to using benfotiamine, which has been found to be significantly more effective in delivering vitamin B than thiamine is (x3). This powerful antioxidant that is one of the rare few materials that can pass through the brain's blood/brain barrier to enter the brain and go directly where it is needed the most. Most importantly, it has a specific effect on the nerves that eases the pain and numbness associated with neuropathy, and promotes better blood flow and oxygen to the nerves. Recent studies have reported that just by using the R-ALA alone, orally, has reduced symptoms of neuropathy. These days, it is common for those suffering from neuropathy to take both medical and vitamin therapies, combining short-term treatment with the cumulative effects of correct nutrition. The best formulas (so make sure they have these in the ingredient list) include vitamins B1, B2 and B12, as well as Vitamin D, R-ALA and materials that relax your nervous system, avoiding overstimulation. Please consult your Physcian, as this is for refernce only.